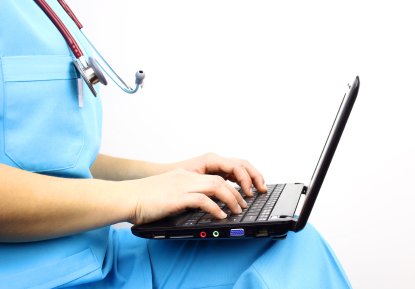 With little news on Stage 2 meaningful use updates since the proposed rule in April, the Medical Group Management Association is calling on CMS to extend the 2015 reporting period into the first quarter of 2016. The Centers for Medicare & Medicaid Services has promised final program details, but they've still yet to appear. Meanwhile practices and their electronic health vendors are left twiddling their thumbs as they wait. Beyond sowing confusion and slowing progress, that delay has MGMA concerned that medical groups won't have enough time to update their IT and alter workflows to comport with the new requirements once they finally do appear. With less than four months left in this calendar year, the group is imploring CMS to extend the 2015 reporting period into the Q1 2016. "Even if the final rule came out today, the window of time that CMS is leaving medical groups and vendors to adjust workflows and update systems is both unacceptable and unrealistic," said Halee Fischer-Wright, MD, president and CEO of MGMA, in a press statement. "Forcing groups and their EHR vendor partners to scramble in a short period of time to meet the Oct. 3 start date for the last reporting period essentially guarantees that a significant number of program participants will fail in 2015," she adds. "Adding to this challenge is the fact that the industry is facing the transition to ICD-10 on Oct. 1, yet another demanding government initiative." The modifications to the meaningful use program were meant to offer flexibility to providers and spur increased participation. But MGMA is concerned that the lag in final specs being released will end up having the opposite effect. "Without having a definitive set of program measures, and sufficient time to incorporate them into EHR software and practice workflow, medical groups simply cannot responsibly transition to the modified Stage 2 requirements without a massive drop-off in participation," said Fischer-Wright. "An extension of the 2015 reporting year is absolutely vital to continued program success." MGMA has asked CMS to allow medical groups to reporting for 2015 in the last 90 days of 2015 or into the first 90 days of 2016. For the 2016 reporting year, it recommends a 90-day reporting period – thus enabling providers who select the first 90 days of 2016 to report 2015 measures three remaining quarters to report 2016 measures.